Discussion in 'General Precious Metals Discussion' started by ozcopper, Mar 29, 2018.
bordsilver, Stoic Phoenix, wrcmad and 4 others like this. Great article, thanks Oz and Bron. And here I was thinking it was because JP Morgan and Deutsche Bank manipulated the price of gold. It will be interesting to see if the BoE stocks keep on rising back to their 2013 peak with this high GOFO showing no signs of coming off (driven by rising LIBOR). Once again Bron, I take issue with your interpretation. Just like your article with Dr Tom Fischer, when your claimed that Prof Antal Fekete was a "pseudo expert" and that backwardation had no economic meaning. 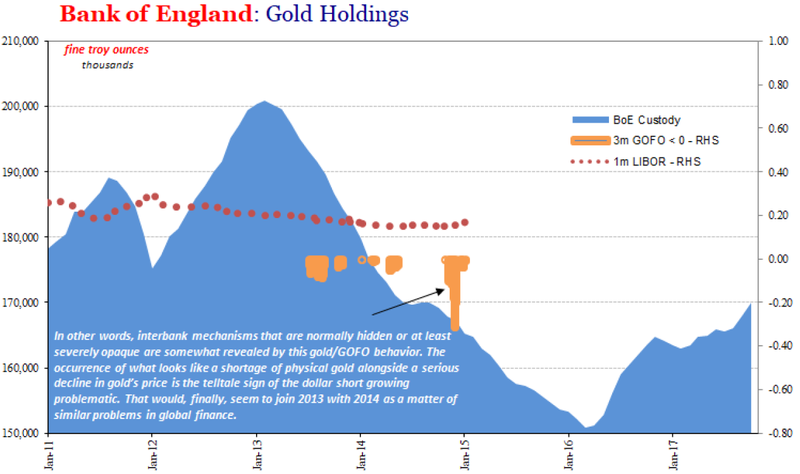 Is not the simple reality in this case that  the gold price fell into 2016 as the Bank of England liquidated its gold holdings and  the gold price rose after London stopped liquidating (manipulating the gold price lower)? What article with Dr Fischer are you referring to? 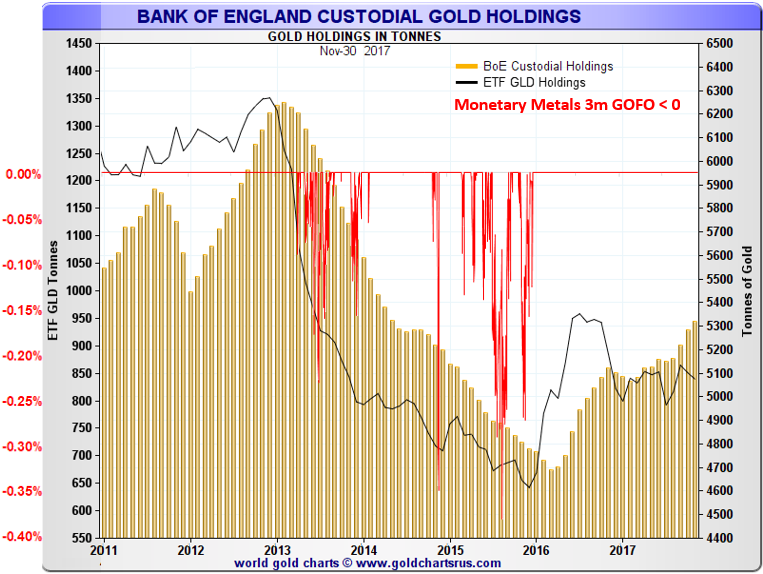 Regarding  those figures are not the BoE's metal, that is metal is hold as custodian for others, it was others that were liquidating it. If the gold price fall was instigated (ie the primary driver) by people selling their gold held at the BoE then spot would have fallen faster that futures and thus the basis would have risen. This is not what we see, it is the basis falling which means futures were falling faster, highly indicative that that was the driving force with spot trading (selling) following. The point is, you can't go around calling a hero of mine (Prof Antal Fekete) a "psuedo-expert", particularly when he is right and you are wrong! In short, backwardation is the the result of tightness in supply of physical, which creates an arbitrage opportunity for the bullion banks to sell physical and buy futures. But suppose the backwardation becomes established, then the arbitrage cannot be easily unwound at a profit. To manage this position, the bullion banks sell ever more physical and buy paper hoping to get the market back into contango. Markets (like COMEX) are thereby drained of physical and fill up with paper (just like we see today). The final stage (as correctly described by Fekete) is a "permanent backwardation", when physical never returns to the market and a delivery fault becomes inevitable. The backwardation then gets VERY large, to the point that no amount of dollars can entice physical back into the market. At that point we get hyperinflation and a "currency reset". All of which was acurately forecast by Fekete and (for some unknown reason) disparaged by you. Bron has way more credibility than you and your buddies. Fcuk, even a hack like me has shown your articles to be inaccurate.... and you go and publish them anyway and claim expert status. Bron has a complete understanding of the workings of the market and backs up his explanation with numbers and facts, instead of fabricating so-called "proofs" with a fantasy mind-set, and thus gets my vote every day of the week. Fraser, that article you link to is by Dr Fisher, not me, nor is it co-authored with me. I ask you again, where is an article where I have called Fekete a "psuedo-expert". I have been following Fekete's work ever since I saw him in Canberra in 2008 at the Gold Standard University Live conference https://goldchat.blogspot.com.au/2008/11/gsul.html and don't consider him a psuedo-expert. Here is a post https://goldchat.blogspot.com.au/2010/07/degrees-of-distrust.html about a presentation I gave at Gold Standard University Live conference in 2009 proposing four phases on the way to permanent backwardation. I also wrote a few posts about Dr Fisher ideas around that time, see https://goldchat.blogspot.com.au/2013/09/faux-gold-arbitrage.html for example. clear, Ronnie 666 and mmm....shiney! like this. Apologies Bron, but in the original article you were mentioned by Dr Fischer as a leading contributor. Around that time, I remember discussing with you my strong objections, not only to calling Prof Fekete names, but also the logical flaw in the article, namely that it only restated (not proved) its own assumptions. Reading the (latest posting of that) article now, I cannot find you as a contributor. Whether or not you withdrew support purposefully, I commend your withdrawal of support now. Coming back to your article (above), notice that during the period of negative GOFO (2013 to 2016), the markets behaved as Fekete predicted, namely physical was sold and paper was bought. This has both reduced physical gold holdings and expanded the Open Interest on (for example) COMEX, to the point that the market is now (possibly) vulnerable to a default. This last point may (or may not) overstate the current situation, but the trend is there and so what Fekete was banging on about is (I think) gradually unfolding. Should look at this from the view that there is a glut of gold but with a big pent up demand for gold at lower prices. Every other commodity be it, coal, iron or grain with 60 years supply will be worth less than ZERO. the artificially high gold prices is due to inefficient use of gold by private and national bullion holdings, which suppress the demand due to high prices for the biggest effcient gold market the jewllery sector. Fraser, do you have a link to this "original article" where I was a contributor? You are stating it as a fact that I was a leading contributor. I do not remember ever co-authoring articles with Dr Fischer or anyone else, maybe you have confused Fischer referencing/linking to something I've written as co-authoring. I certainly did never or would not be calling Fekete names. And I certainly never retrospectively edit anything I've written. To say I'm withdrawing my support now is saying I lack integrity and sneak around editing the historical record, a grave accusation. Dr Fischer's articles would have been syndicated and preserved in https://archive.org/web/ and you should be able to find where I called Fekete a "psuedo-expert". Which (despite retaining the correct heading) now appears to link to something else. Otherwise I would never have cause to mention you in my refuting article. And please note that I have never stated, not then (nor now) that you were a "co-author", as you claim. Not that it means anything, but you do appear in Fischer's references. 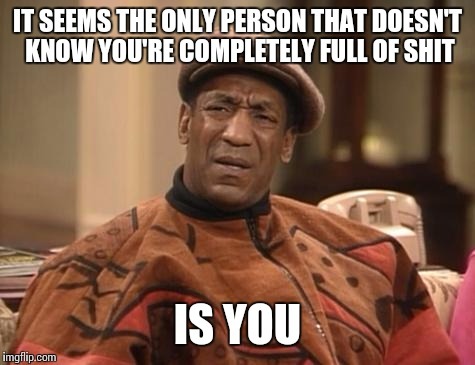 And in our telephone conversations you did say you "helped" him with the article. I can only suggest we contact Tom Fischer to resolve the matter. Last known posting is Professor of Financial Mathematics at the University of Wuerzburg, Germany. I will try to get in contact with him next week - because I too want this matter between us resolved. All that said, I can fully accept that any help you gave Dr Fischer may have been purely technical, without any knowledge of Fischer's attack on Fekete. But please understand my annoyance towards anyone who attacks the legends in our field of enquiry. Right or wrong, there is just no call for it and (as we both agree) calling Fekete a "psuedo-expert" is just plain BS. PS> Actually, I may be able to resolve the matter myself, because I still have all my old emails (including our correspondence) on an old computer. "any help you gave Dr Fischer may have been purely technical" that is the point. I talk to a lot of people, provide comments and they can say that I've spoken to them or helped them, and even if I knew what they are going to say about Fekete, I can't stop them and that does not mean that I am responsible for what they write. Fraser and JulieW like this. I am also very sorry to open old wounds - please forgive me. I have raged over this silly article for way too long and life is too short. My own advancing years have obviously made me lose perspective of what is important. I sincerely apologize whole-heatedly and forgive me. I liked your article (above) and it has prompted me to revisit the subject. In my personal opinion, I think you are well on track but have stopped half-way. Because I think that "backwardation" does not end until GOFO > LIBOR (see my article). And with LIBOR now soaring, we are not done yet! Theoretically of course, "backwardation" should never occur and yet here we are since 2013! It appears (to me) that the physical is just not available to get the market back into contango. And with the paper Open Interest on COMEX ever rising, I can only see the situation getting worse. While some countries (like Canada) have chosen to just let their leased gold go, others like Hungary are demanding repatriation of what is left. Where and when this ends - no idea - but Fekete's "permanent backwardation" looks about right to me! PS> For what it's worth, I also think the current geopolitical situation is related. Gold is not in backwardation, and not in short supply. I notice you are ignoring me. 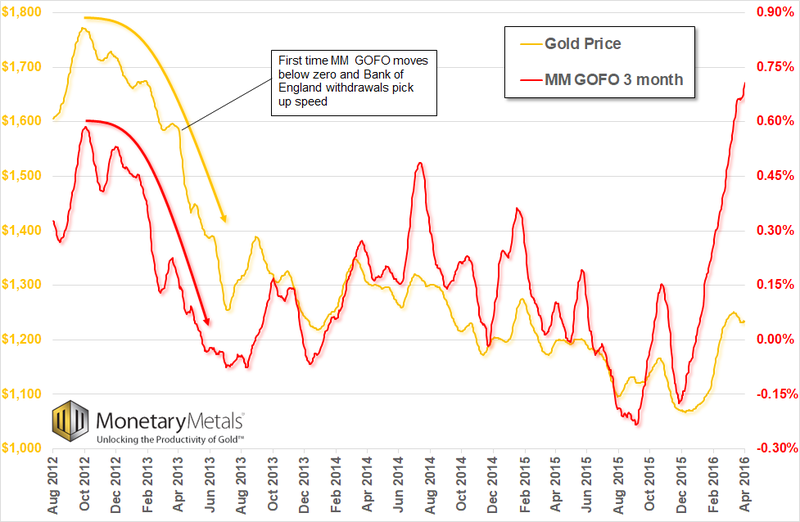 While LBMA stopped publishing GOFO, Monetary Metals has been able to reconstruct it with a high degree of correlation to the LBMA figures. Based on our latest figures https://monetary-metals.com/data-science-charts/gold-forward-rates/ gold is not in backwardation and is currently sitting just under 2%. At the moment, we are only in what I consider the 2nd Phase, where we see occassional backwardation which comes and goes and it usually only as the futures contracts approach first notice day and expiry. We won't suddenly jump to permanent backwardation, first I think it would show as more backwardation periods, prolonged and not just in shorter maturities but maybe 3 month durations going to small backwardation. As people lose confidence, then backwardation will start to persist in shorter maturities, increasing to longer maturities. Balances in ETFs, Comex and other holdings will decline as gold is being pulled and stored outside the system. We are well away from that at this time. I can understand why people would be ignoring you, especially when you call them permabulls & permatards. Maybe if you do a bit of study & don't keep TROLLing your better, more educated posters they might listen to you. However I think that it may take many years to get to a level where you will get any respect. (from what I've seen of your contribution). _JLG. I’ve done my study, and again, the questions got too hard for Fraser, so it’s easier for him to ignore than to discuss. Very questionable that he is more educated.... if that was the case, I’d be cannon fodder for him. While he ignores, you lean on the Troll tag - same dismissive tactic when things get too hard.